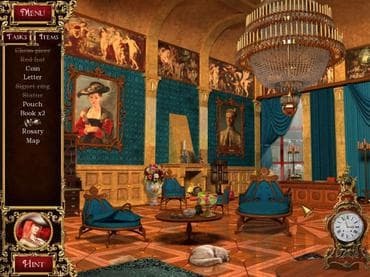 We present you a new exciting game The Three Musketeers Secrets: Constance, that'll bring you to the world of France of XVII century, with its royal intrigues, treacherous cardinal, and, of course, the real romance.The previously unknown story of Constance will capture your heart for sure. What does the Spanish ambassador hide, writing a letter to queen asking to meet her? Who is betraying France and how to outwit those whose power and treachery are equally great? How to find time for love, for dating and romance among all these puzzles' solution? Because even covered by kisses and tenderness, you can't escape from the danger... If you like adventures, then you will be interested to experience exciting and dangerous situations, to plunge into the romantic world of The Three Musketeers in this free full version downloadable game. If you have questions about Three Musketeers Secrets game, please contact us using this form.